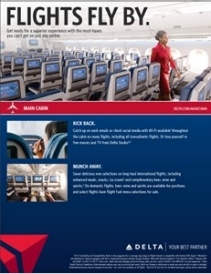 Learn more about what Delta has to offer you and your travelers. 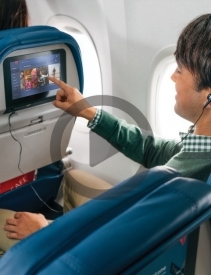 Get exactly what you want from every flight. 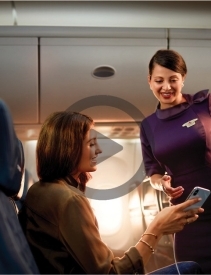 Select the onboard experience that fits your needs. 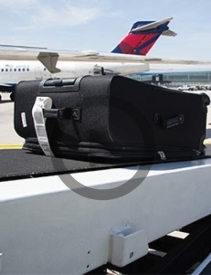 Delta has implemented Radio Frequency Identification (RFID) baggage tracking technology, a first for U.S. carriers, providing customers with improved real-time tracking of luggage throughout the travel experience. View this document to learn more about what Basic Economy means for your travelers. 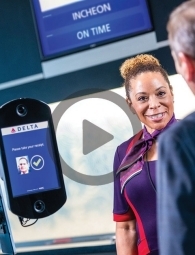 Watch a short webinar on all the choices of Delta onboard experiences you have available to sell successfully to your customers based on their travel needs and see helpful resources available for you. 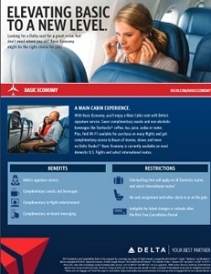 View this document to learn more about Delta's Main Cabin experience. 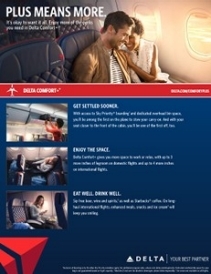 View this document to learn more about Delta Comfort+ and all the perks that come with it. 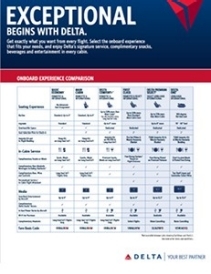 Learn about Delta's different onboard experiences side-by-side in this informative chart. 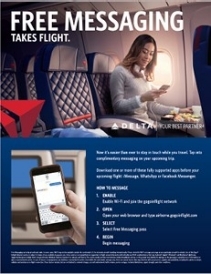 Learn about Delta's free onboard messaging and how to activate it during flight. Find out all of the innovative solutions we’ve recently implemented to provide a superior experience for your travelers. 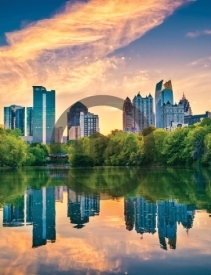 Learn more about ATL, our main hub and one of the primary connection centers in the world. Watch a video about the arrival process in Atlanta. 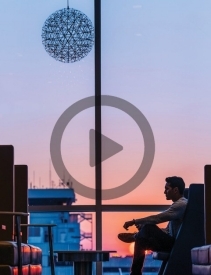 This video provides step by step instructions on the deplaning, Customs and connection processes. The first year of our partnership has been focused on streamlining the customer experience. 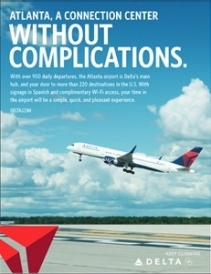 Delta, KLM, Air France and Alitalia comprise one of the largest trans-Atlantic networks in the world. Fly Direct to the U.S.
Daily flights departing Mexico City to the U.S. on Aeromexico and Delta. 4 Airlines. One Language. Yours. You and your clients can count on greater flexibility when planning trips and changing itineraries with the best connections and fares. Aeromexico and Delta are offering daily flights from Mexico to Washington, D.C.